From sculpture to pottery and painting, Jamaica has some of the most talented artists. Take the time to see their works on display in the many galleries and museums on the island. Not only is our island bursting with colour, from the misty mountain cliffs, to the tropical jungles and sky blue sea, but so are our people. Coming from all around the globe, with different customs, traditions and stories to tell, it’s no wonder we are creative in everything we do. This stands true in our art. 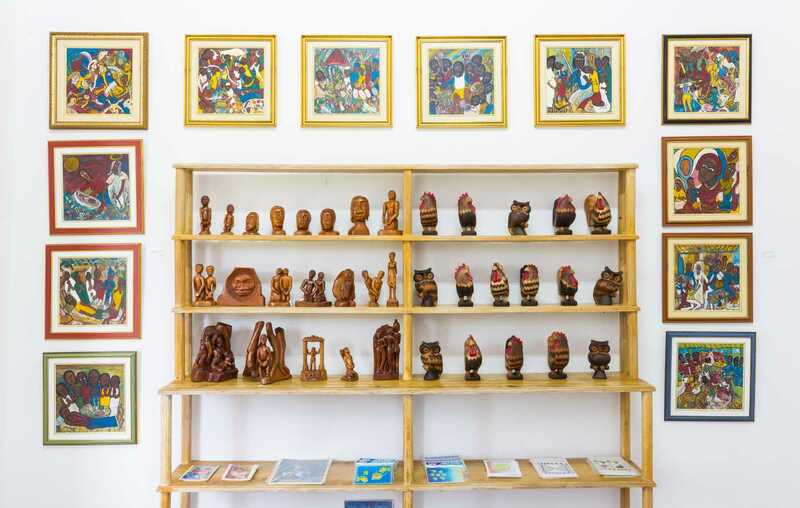 Our paintings, sculpture and pottery are amongst the best in the Caribbean. Our artists work in a variety of styles, techniques and colours influenced by Africa, Europe and America, resulting in pieces that are truly unique and inspiring. In many international collections you will find the works of Jamaican master artists like Edna Manley, Albert Huie, Cecil Baugh, Kapo, Alvin Marriot, Dunkley Barrington, David Boxer, Barrington Watson and many others. Our art is everywhere you turn, from traditional galleries and museums, to craft markets, roadside spots and inner-city walls. When you’re in Jamaica, just look around and take in our work. Browse the galleries and wander the streets in search of new talent, or take home a piece for your own collection.